I am a researcher in the DIANA project-team at INRIA Sophia Antipolis – Méditerranée research center. Our paper “nepi-ng: an efficient experiment control tool in R2lab” and demo “Using nepi-ng for mesh networks experiments” are accepted at WiNTECH 2018. I recently gave a talk on “Reproducible Wireless Networking Experiments“. Our tested FIT-R2lab is open to the general public. Sign up through the OneLab portal to run your own experiment. Several researchers have already used R2lab. See the list of research papers using R2lab. Full list until 2012 (Rodéo and Planète), HAL extraction since 2013 (Diana), or Google Scholar (all). Fed4Fire+, an integrating Project under the European Union’s Seventh Framework Programme (FP7) addressing the work programme topic Future Internet Research and Experimentation. NS-3 consortium, ns-3 is a discrete-event network simulator for Internet systems. Mohamed Naoufal Mahfoudi, (co-supervised with Robert Staraj – LEAT), working on “Towards Cross-layer MIMO for 5G networks”. Hardik Soni, (co-supervised with Thierry Turletti), working on “Enhanced Support for Multicast Applications in SDN Networks”. Alina Quereilhac (co-supervised with Thierry Turletti), thesis on “Experiment Control in Heterogeneous Evaluation Environments”, June 2015. Ashwin Rao, (co-supervised with Arnaud Legout), thesis on Improving Transparency and End-User Control in Mobile Networks, December 2013. Shafqat-Ur Rehman, (co-supervised with Thierry Turletti), thesis on Benchmarking of Wireless Experimentations, January 2012. Stevens Leblond, (co-supervised with Arnaud Legout), thesis on Privacy in P2P Networks, April 2011. Mathieu Lacage, thesis on a Methodology for Networking Experimentation, November 2010. Mohamed Amine Ismail, (co-supervised with Antoine Clerget), thesis on the optimisation of Protocols and Applications over Broadcast Links, June 2010. Diego Dujovne, (co-supervised with Thierry Turletti), thesis on the evaluation of wireless transmission protocols, May 2009. Mohamed Ali Kaafar, (co-supervised with Thierry Turletti), thesis on Securing Internet Coordinate Systems, September 2007. 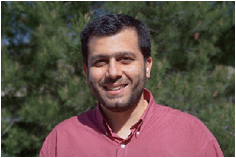 Mohamad Malli, (co-supervised with Chadi Barakat), thesis on Inferring Internet topology from Application Point of View, September 2006. Laurentiu Barza, thesis on Communication Architecture for Large Scale Virtual Environments, July 2004. Fatma Louati, (co-supervised with Chadi Barakat), thesis on Asymmetry and Bidirectional traffic in the Internet, February 2004. Antoine Clerget, thesis on Heterogeneity in IP multicast Networks, December 2003. Miguel Sánchez, thesis on Optimization of Packet Forwarding in Best-effort Routers, September 2003. Rares Serban, (co-supervised with Chadi Barakat) thesis on Dynamic IP QoS management, September 2003. Fethi Filali, thesis on Deploying Multicast Services in Heterogeneous Environments, November 2002. Frank Lyonnet, thesis on Multimedia Applications over the Internet with wireless links, October 1998. Claude Castelluccia, thesis on High Performance Transmission Control Protocols, March 1996.